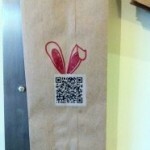 I’m a big fan of QR codes and similar technology. Maybe it’s my failing memory brought upon by encroaching middle age, but the ability to snap a photo of something rather than remember a URL is a big win in my estimation. In fact, we included 22 Microsoft Tags (similar to QR codes) in The NOW Revolution, so we could direct readers to a treasure trove of additional resources that expand and enhance the book. 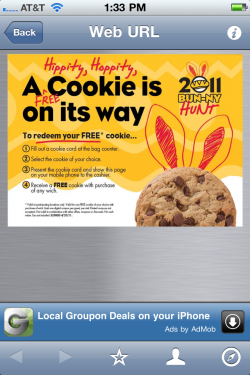 I also really like the on-the-spot and in-the-moment potential for QR code usage. I had an excellent experience with a program of that type this weekend at Which Wich here in Bloomington, Indiana. I showed my wife, who commenced operation “Find the QR Code”. She spotted it in the collection of customer-decorated paper bags that are present in all locations, and I snapped the code (nice bunny ears)! And it was GOOOD. Based on this one, simple use of QR technology and instant sampling, the chances of me ordering a cookie next time at Which Wich went from 0% to 100%. That’s just smart business. The only part of this program I would change is that their Foursquare page didn’t mention the QR program whatsoever. That’s a missed opportunity for integration and amplitude. 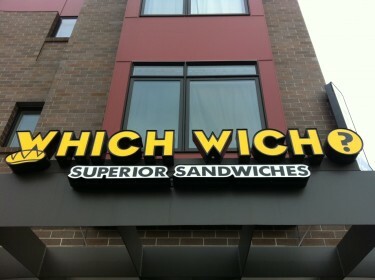 Otherwise, nice job by Which Wich demonstrating how on-premise use of QR technology can create real-time sampling and a subsequent increase in average order size downstream. Well played.